You can get financial assistance from NCS if you would like to get commercial project funding. They work with banks to give you better return rates, and their goal is to see that your commercial project succeeds. 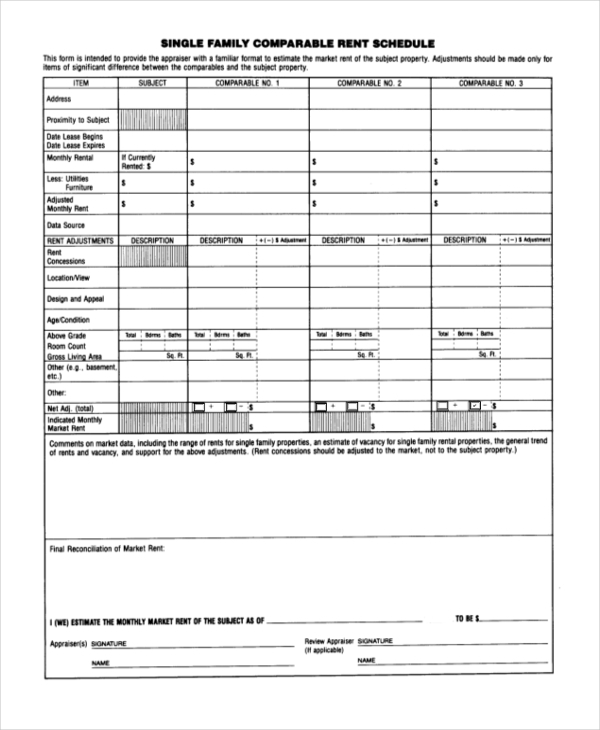 Failing to fill this form accurately can cause you an unnecessary headache. 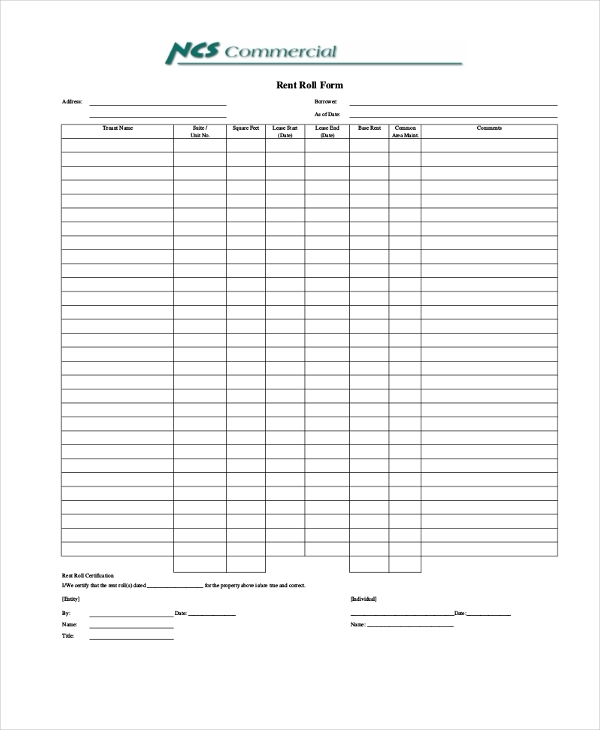 Make sure you fill the form as is without making any changes to the design. Increase the number of rows if you have more information to include. Basic rent information is simple to fill because it requires less information from you. It is necessary that you fill this form to the best of your knowledge because it will act as an important financial document. Do you want to know the total amount of rent you earn every month but have no idea of the best tool to use? 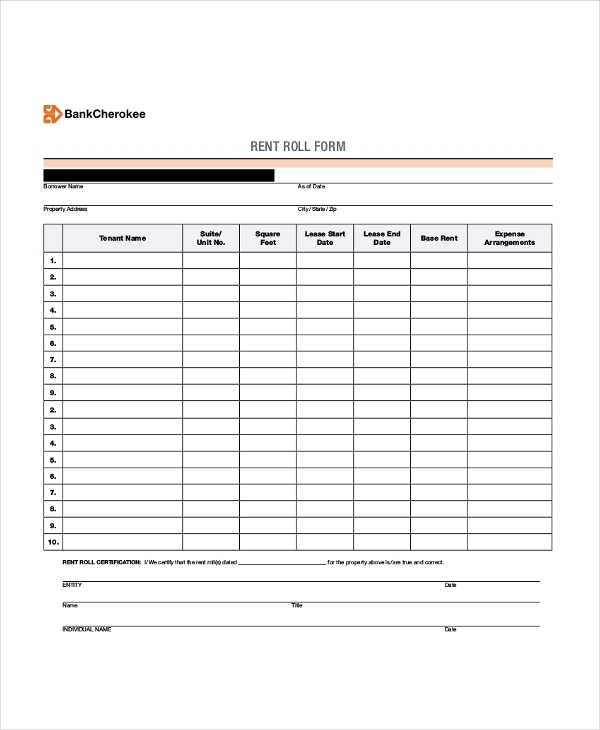 You can download the Chase Rent Roll form and use it for the job. 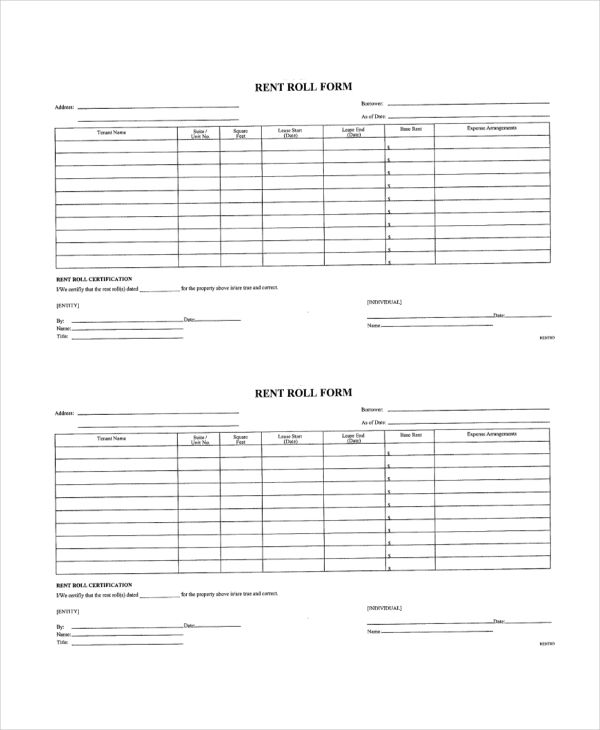 Generic rent roll forms aren’t content specific, so they are easy to fill. Moreover, you can change the design if you want, albeit it is wise to use it as is. 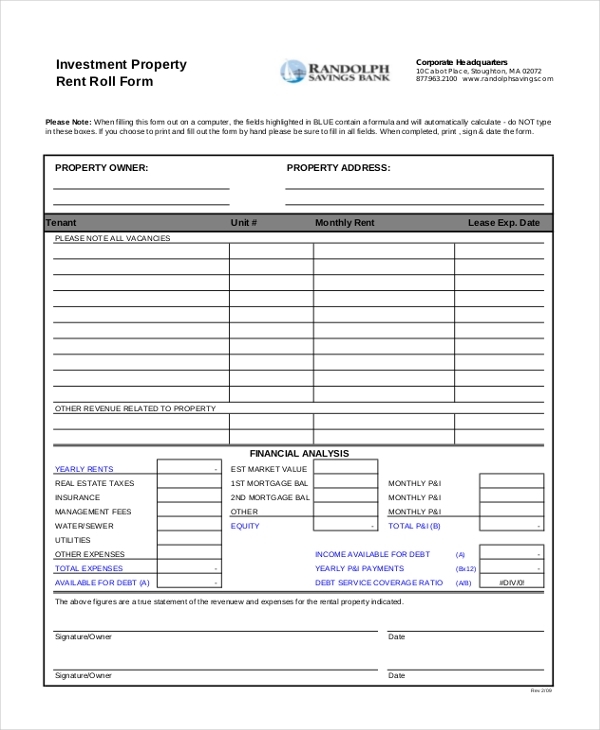 A Monthly Rent Roll Form is a free and easy-to-fill document. It has all the info you need to fill in, so you won’t have to change the design at all. If you have set up a real estate business through funding, you will be required to start making repayments. 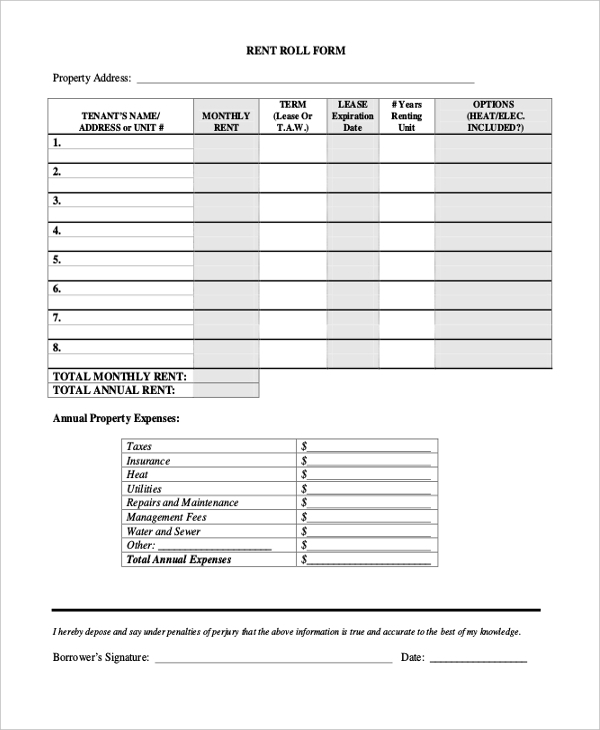 The first thing you must do is to provide information on the total monthly rent income by filling this form. 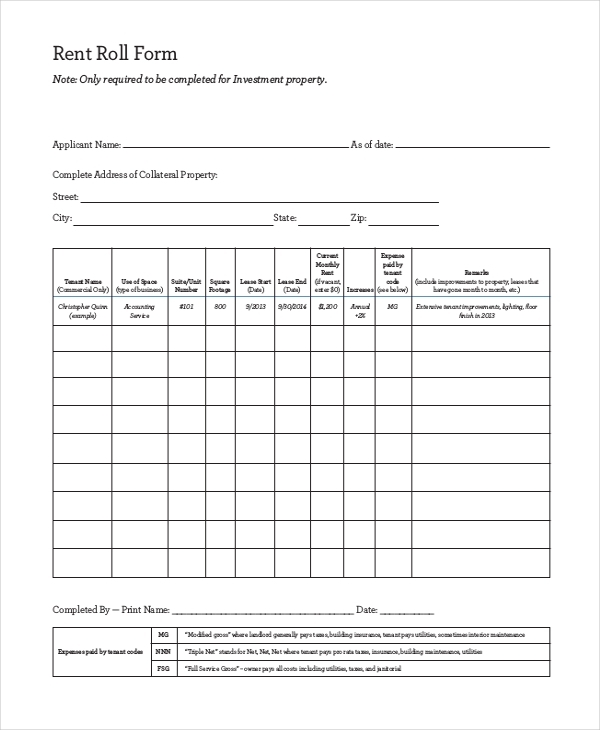 The purpose of this form is to document the number of single-family rentals apartments in your real estate business. Single families are families that have only a mother or father as the sole provider. 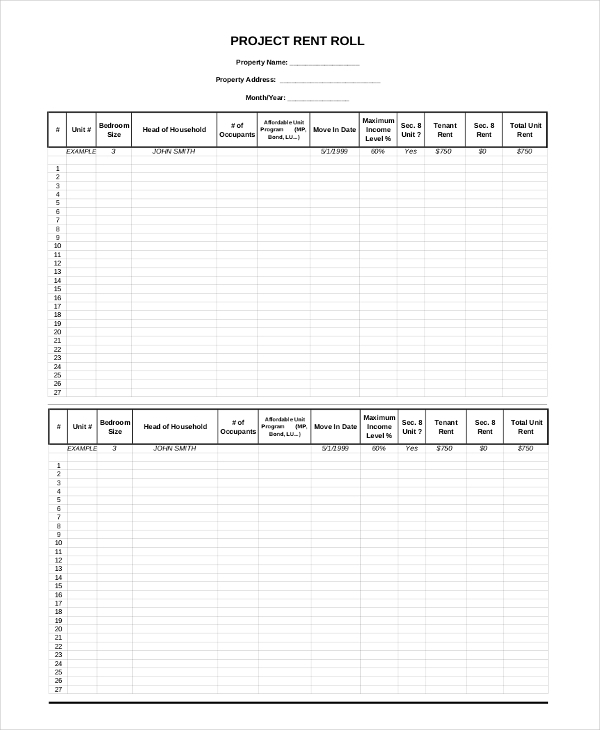 The first thing you must do before using this form is to have the right data to fill, the willingness to provide accurate and valid information. 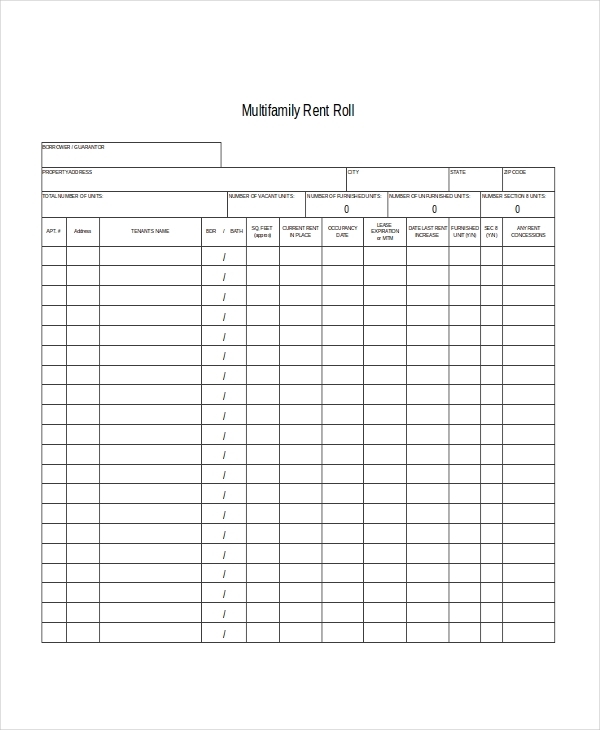 The Multifamily Rent Roll Form in Excel format is easy to fill. Since it is editable, you could make few changes to make it suit your needs. Provide accurate information about your property. It is highly likely that not many property owners often consider tenants to be a good source of leads. The truth, though, is close to 20 percent of tenants often have information that you need to grow and convert your leads. Besides, some tenants also own investment properties. That means they might know people who may be interested in making a deal with you. When a tenant introduces you to someone or people who may be interested in making a deal with you, think about how many investors those referred to you can help you get.